Caravan Coffee started as a small espresso bar in a college town. They are now a highly regarded artisan coffee roaster based in Newberg, Oregon. 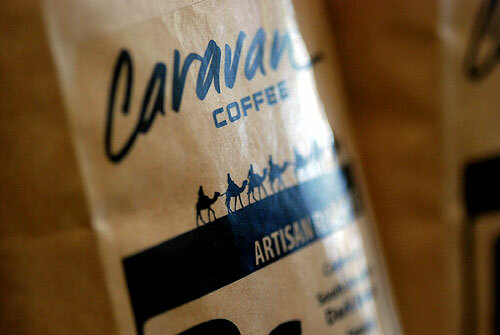 Caravan specializes in direct trade with growers around the globe. They emphasize the importance of sourcing high quality beans and roasting them to bring out the best flavor. At Rafns' we offer four coffees by Caravan. They include Black Stallion, a full-bodied and smoky dark roast; Omar's Blend, a well-balanced medium roast; and Decaf Costa Rica, a clean and crisp coffee with a hint of citrus. Caravan also roasts the Rafns' Proprietary Blend, a smooth and rich blend that serves as our house pour. For more information, visit www.caravancoffee.com.